The leading treatise on all aspects of consumer warranty law—the Magnuson-Moss Warranty Act, the UCC, state lemon laws, auto repair statutes, state manufactured home warranty laws and more, with practical litigation advice not found anywhere else. 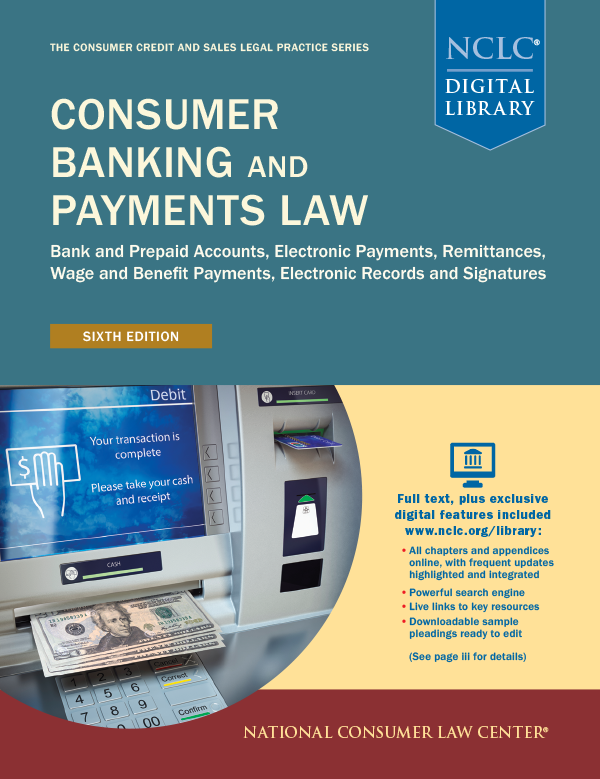 The only treatise to detail consumer defenses to debt buyer and creditor collection lawsuits on credit card, medical, and other consumer debts. Extensive analysis of government collections and creditor post-judgment remedies, including wage and bank account garnishment. Examining in detail the ECOA, Fair Housing Act, civil rights statutes, HMDA, Community Reinvestment Act, and state discrimination laws. Everything you need to know about electronic fund transfers, check payments, payroll cards, bank accounts, international transfers, prepaid cards and government payments.